Standing in the very centre of the Tickenham, the Village Hall is truly at the heart of this vibrant community, hosting local club activities as diverse as drama, badminton and the Parents and Toddlers. We also welcome regular visits from University of the Third Age and The Alzheimers Society. The separate ‘Committee Room’ converts twice a week into the local Post Office (Monday morning and Wednesday afternoon), where locals meet on a Monday morning to buy their stamps and enjoy a cup of coffee and a slice of cake. Conveniently placed for visitors from Bristol, Weston-super-Mare and many other North Somerset towns, with a well equipped kitchen and ample parking space the Hall is also a very popular venue for anniversary celebrations, wedding receptions and all sorts of private functions. Hirers can provide their own bar service if required, either on a consume only basis or sale, and if hirers intend to sell alcohol then a small charge will be added to the letting fee to cover the additional cost of providing the appropriate license. Please advise the lettings officer when you make the booking. 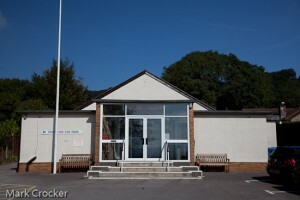 For a list of regular events held at the Village Hall, visit here. In aid of the Tickenham Flower Show, come and find a bargain or two at our May's Jumble. Come and join us for a great family day out at the Tickenham Flower Show. The new 2019 schedule is now available for download, so get thinking about the classes you would like to enter.